When I was younger I used to have a few 12-inch Star Wars figures. I had Han Solo, Luke Skywalker, Chewbacca and Darth Vader. I would recreate scenes from the movies with them, but there was always something missing. Every now and then my sisters would use the male figures as a boyfriend for their Barbie dolls, but there was never a Princess Leia doll that could go on an adventure with my figures. 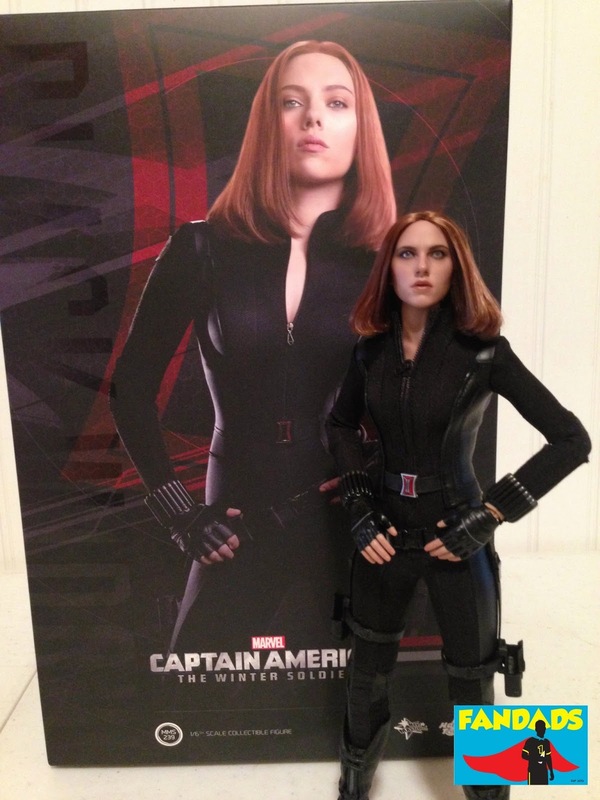 Nowadays, there are a lot of great female action hero dolls that could go on these adventures with my Star Wars figures and one that I think will help a lot would be the Black Widow figure from Captain America: The Winter Soldier made by Hot Toys. The Fandads Holiday Gift Guide. It's that time of year again! Where we run into crowded malls, battle hordes of angry shoppers and try to find the perfect gift for the Fandad or Fanmom in our lives. If you do not want to go through that hassle of guessing what they want and want to get them something that will "wow" them, then read our holiday gift guide. If you see something you like, click on the picture to be sent to our affiliates website where you can purchase your gift. While we can not guarantee that they will love the gift at least it won't be a gift card that says, "I tried to find something, but the crowds were too much for me." Today Entertainment Weekly got the scoop by getting the coolest item that we have seen thus far relating to the new Star Wars movie: the names of the characters in the trailer on vintage looking trading cards. I actually had these cards when I was little, so seeing them brings back a lot of memories, especially of eating the gum. Earlier this year I did the Spartan Race for the first time. 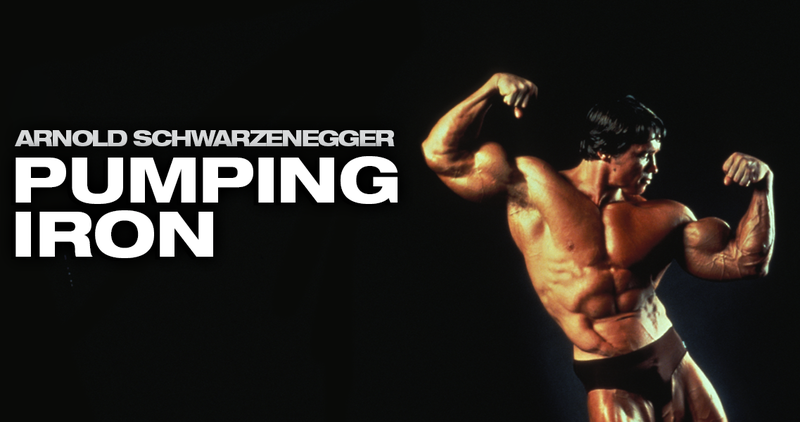 The only real training I had before the run was my cardio. I would run as much I could during the days and just the week before the race I ran a 5K with my wife, but that was not enough. I was first introduced to The Hobbit when I was in the 6th grade. We went to see it for a class field trip at, I think it was the Drury Lane theater. I remember sitting in the darkness of the theater and wondering what was I going to see. I have never heard of the books, but I remember seeing parts of a cartoon version of The Hobbit on the television and thinking to myself, "This is pretty cool, weird, but cool." Labels: dadbloggers, giveaways, J.R.R. Tolkien, movies, The Hobbit, The Lord of the Rings, Warner Bros. When I was younger I had a huge Star Wars collection. I had a good amount of the figures and I would always get together with my friends to replay scenes from the movie or just stage some epic battles. The one problem that I would have with taking my figures to my friends' houses was that I would always end up losing a weapon or two. Imagine staging a huge battle between your figures and your stormtroopers have to share their blasters to protect themselves. That's not a fun battle, not fun at all. 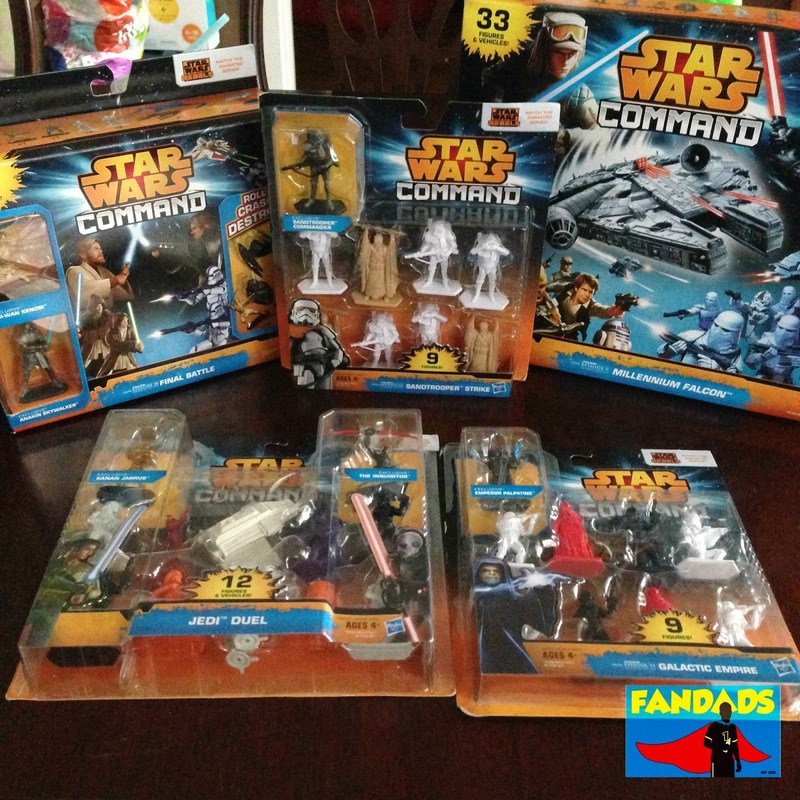 Recently the Fandads teamed up with Life of Dad and Hasbro to try out the new Star Wars Command line. 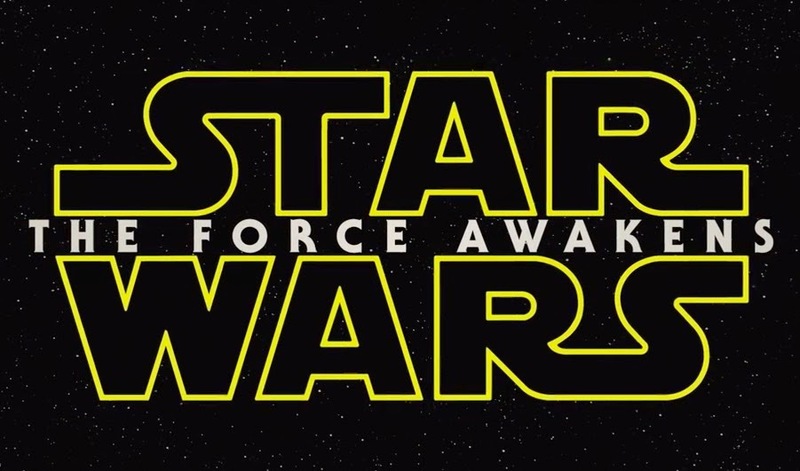 Check out how we tried to #CommandTheForce. The Fandads were supplied with samples of the Star Wars Command line and were not paid for their review. All thoughts and opinions are our own.